Hello, how are you doing? 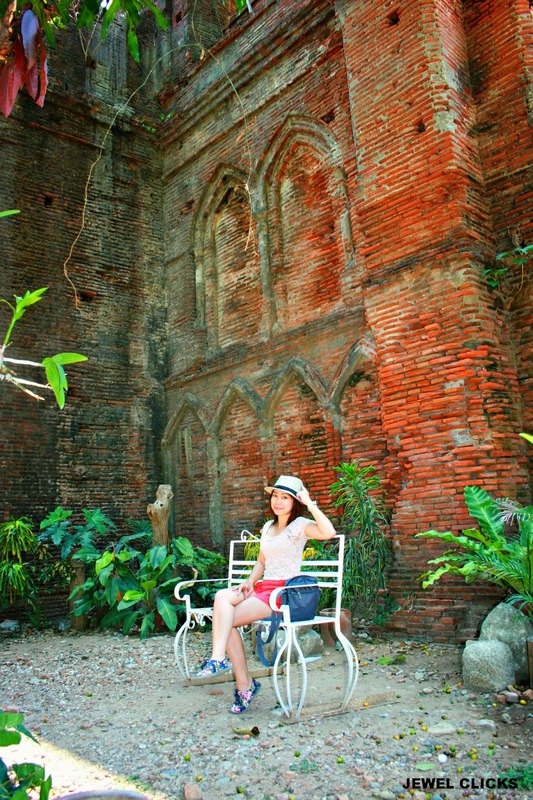 Here are the photos from my last month trip to Ilocos province (read here and here). 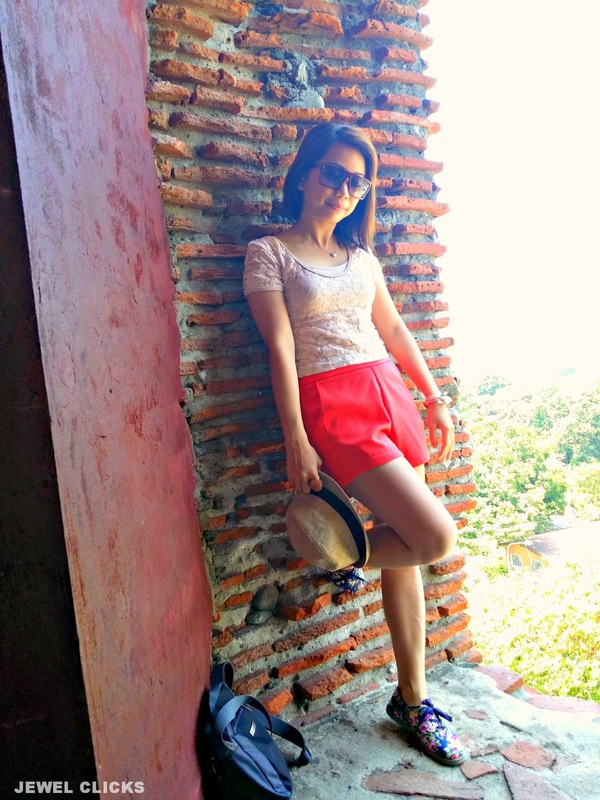 This is what I wore when I was Vigan City. If you will go on a trip I'm pretty sure that you plan the outfits that you want to wear for each day. 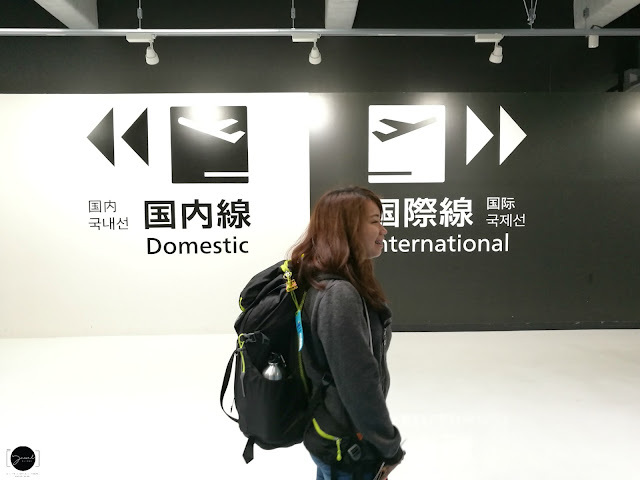 I can tell that I was prepared on our last month trip. Wohoo! 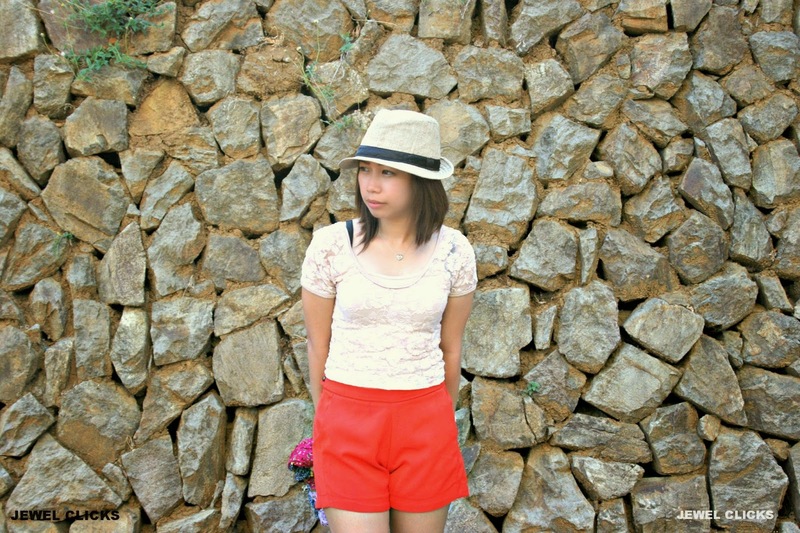 Wore this lace crop top and paired it with my high-waist shorts that I wore in my friend's wedding last March. I finally did a second spin, don't blame me the cloth is so smooth and comfy that I can beat the heat plus I won this on a giveaway! My friend took these photo and these are stolen. I think I can use this on How to drink water if you want to refresh. Charot! HAHAHA! Hahaha, I love putting caption on these photos, Oh, I love stolen shots. It captured the real you. Even if it's hot outside I still love the weather, good day it is! Gotta go! I am so much love your picture taken, so beautifully especially the once with the brick background, I also love your outfit, simple pretty! Aww super love your lace top! And thanks for teaching me how to drink more water ;) HAHAHA! 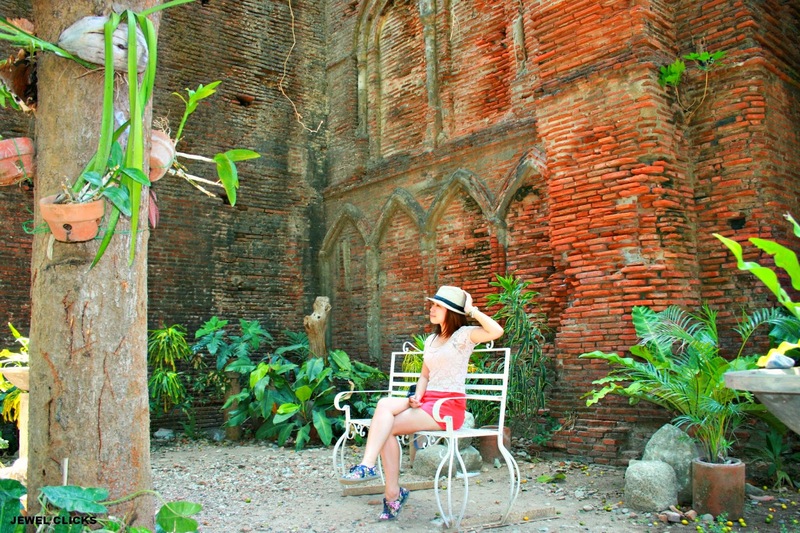 beautiful place and outfit!!! love those shorts! What a beautiful place to take some pictures! Doesn't match your beautiful outfit though. 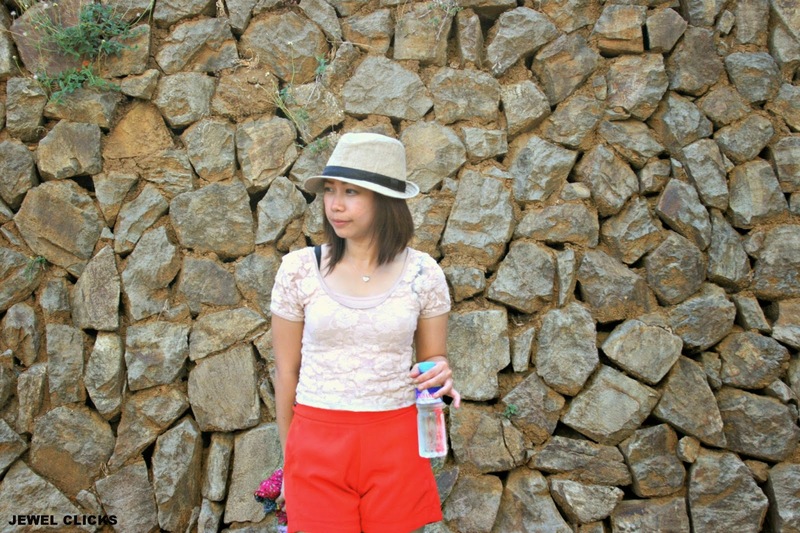 I'm obsessed with corals and oranges, you suit the colours so much! What an incredible setting for these photos - they add such mystery to the look! Beautiful! Nice outfit. I love the backdrop as well. Stolen shots talaga yun???? Bat parang amprefect ng every angle?? Kung ako yun ke panget ko nun! Oh very cute outfit, veru cute pics! 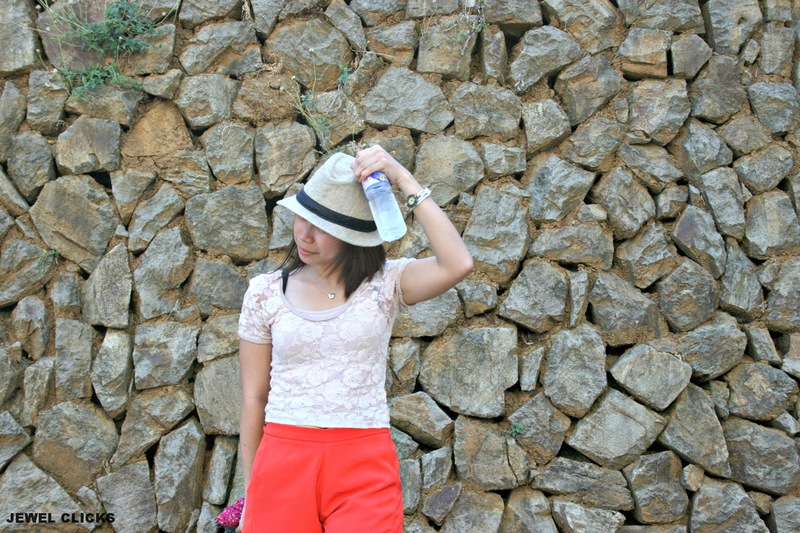 Great photos!, And lovely look!, I liked the hat. Your blog is great!, Please give it to me to know. I also become his follower! 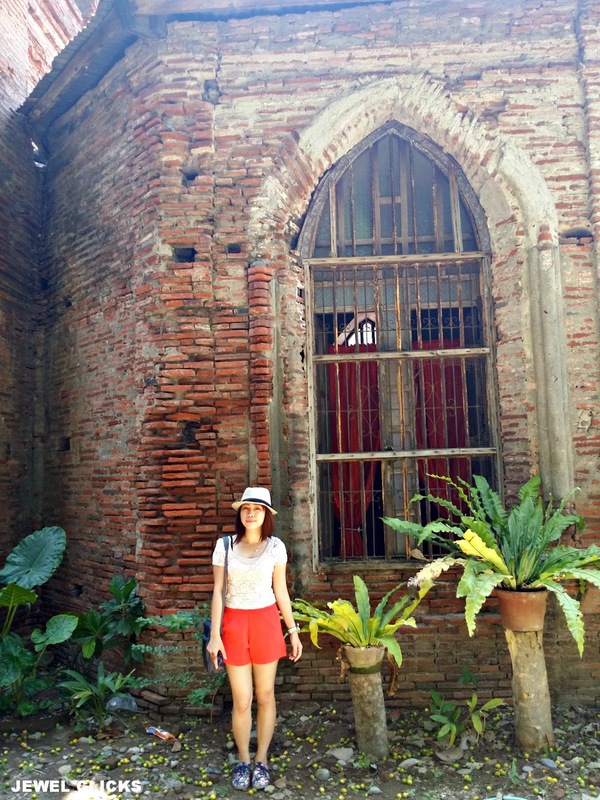 I`ve been to Ilocos too. It`s a lovely lovely place ♥ great photos, dear!! 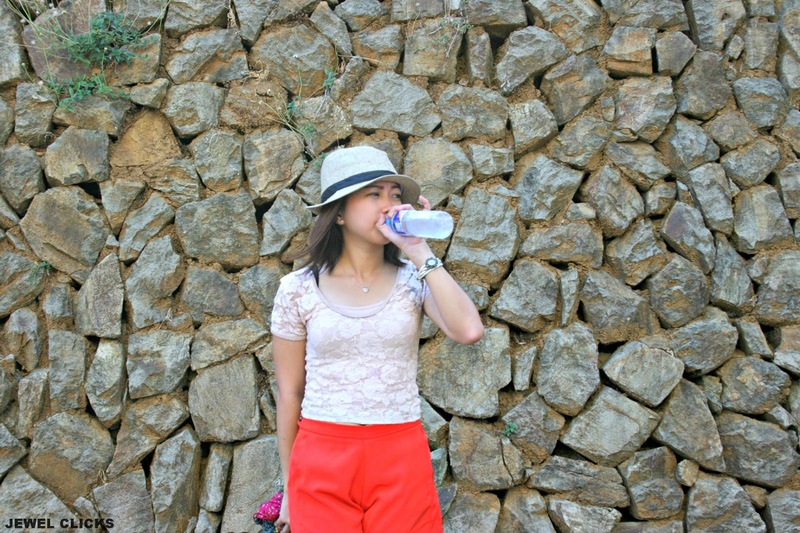 Amazing location, great pics and lovely Lace top!!! have a great day in advance love!